The weekend is here- thank God!! I’ve had a lovely chilled day today. I went out with a friend to a lovely little pub called the Travelling Man and then to the pictures to see Gnomeo and Juliet. We thoroughly enjoyed the film, it was so nice to watch a carefree and funny film and it was a welcome change from our usual choice of thrillers and horrors. Tonight, I thought I’d share with you a video that I’ve recently uploaded to YouTube. At the beginning of the year I set myself some new years resolutions that were designed to help me save money and space by using up the products that I already have rather than buying new products. Products:What films do you like to watch at the cinema? How are you getting on with your New Years resolutions? Oh So Sleepy bath bomb by Ditzy Doll http://www.ditzydoll.co.uk/ Check out my Ditzy Doll blog post here. Far Away eau de parfum by Avon. Check out my Fragrance of the Month blog post on this perfume here. 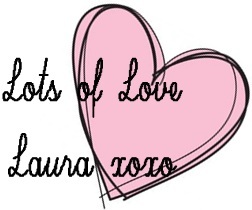 Previous Post WhatLauraLoves has joined YouTube! Next Post EXCLUSIVE PREVIEW: Little Black Dress From Evans!